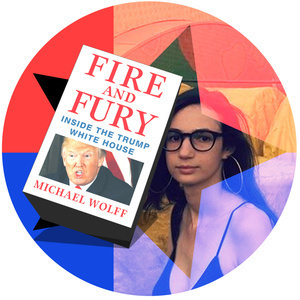 THE SAYS WHO BOOK CLUB with Eve Peyser | Says Who? Eve Peyser is brilliant and you should follower her on Twitter. Do we really have to tell you where to get Fire and Fury? Buy a better book from Maureen: Truly Devious comes out January 16! Here are Maureen's tour dates for Seattle on the 16th, Tempe on the 17th, and Denver-ish on the 18th.